Save up to 25% on Sangoma Telephony Cards! We have teamed up with Sangoma to bring ProVu customers some great money-saving offers on their telephony cards. With promotions running until the end of the year, ProVu customers can save up to 25% on selected cards! 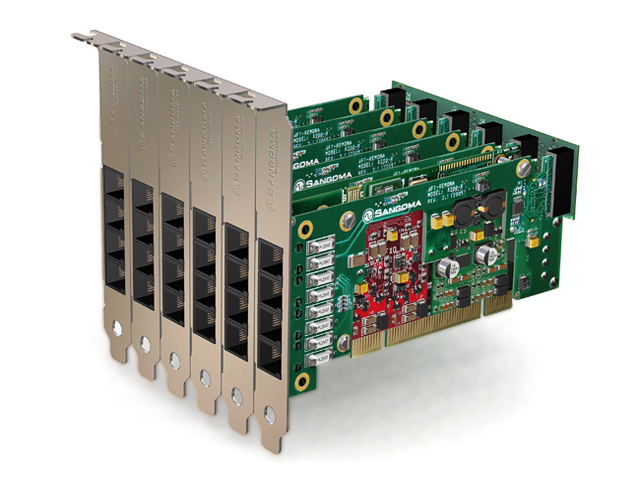 Together with the Sangoma NetBorder or SS7 Software, these cards can provide the ideal solution to any Telecoms infrastructure. Pricing and stock information is available on ProSys, our reseller portal. If you would like to become a ProVu reseller, you can apply via our online reseller application form. We have received an end of life notice from Snom for their current 710, 720 and 760 models. We are currently holding significant stocks of each of these models and fully expect to be able to continue to supply these for the remainder of 2015 and most likely for some weeks in to the New Year. The replacement models will be the D710, D715, D725 and D765. Although these new models look the same, they are black in colour and have completely new hardware and firmware. All of the D7 series models except the D710 are in stock and available to order now. We expect the D710 to arrive in the next few weeks. If you have any queries or would like to discuss how these changes may effect any projects you are working on, please call the sales team on: 01484 840048 or you can email: contact@provu.co.uk. The New Snom D765 has arrived! The new Snom D765 is now available from ProVu. Joining the D7-series of IP phones, the D765 is the perfect companion for users requiring cutting-edge design and high-end functionality. This new desk phone will replace the Snom 760 and is the first in the range to feature integrated Bluetooth connectivity and a large 3.5″ high resolution colour TFT display. For more information, please visit the D765 webpage. 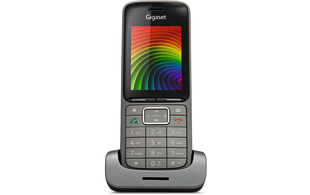 The new Gigaset SL750H PRO is now in stock and available from ProVu. This new, stylish handset is Gigaset’s thinnest PRO handset yet and comes complete with a large 2.4″ illuminated display with an intuitive, icon-based user interface. With its scratch-resistant coating, the SL750H PRO is resilient to scratches on the display, case and keys. The coating also provides protection from disinfectant liquids making it ideal for use in industrial, manufacturing and clinical environments. Along with other PRO handsets, the SL750H is compatible with the N510IP PRO, N300IP PRO and the N720IP PRO, offering customers a solution to suit their individual needs. 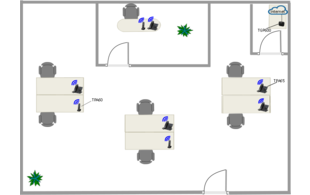 With the N720IP you can offer a multi cell solution that ensures complete coverage of any building or widespread surroundings. More information can be found on the SL750H webpage. 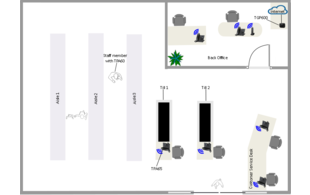 Pricing and stock information is available on our reseller portal, ProSys. 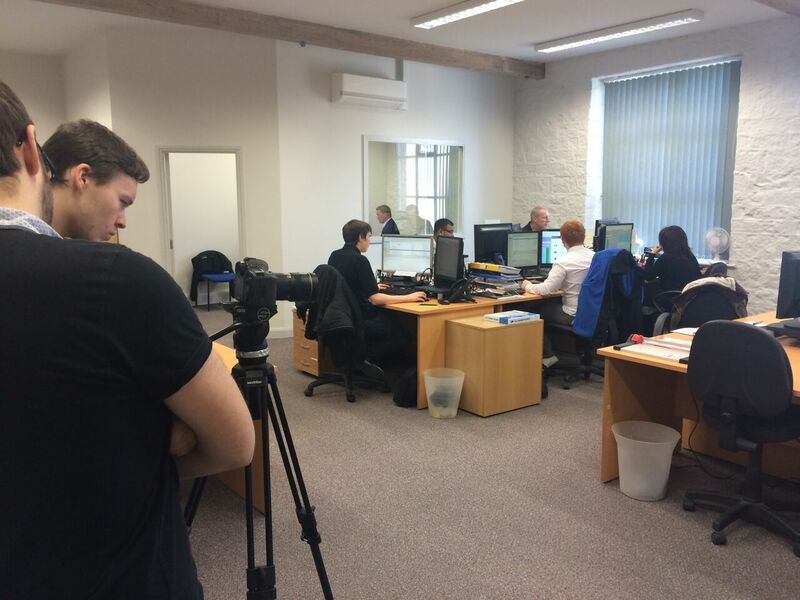 We’ve had a great morning here at ProVu filming for the Huddersfield Examiner Business Awards. 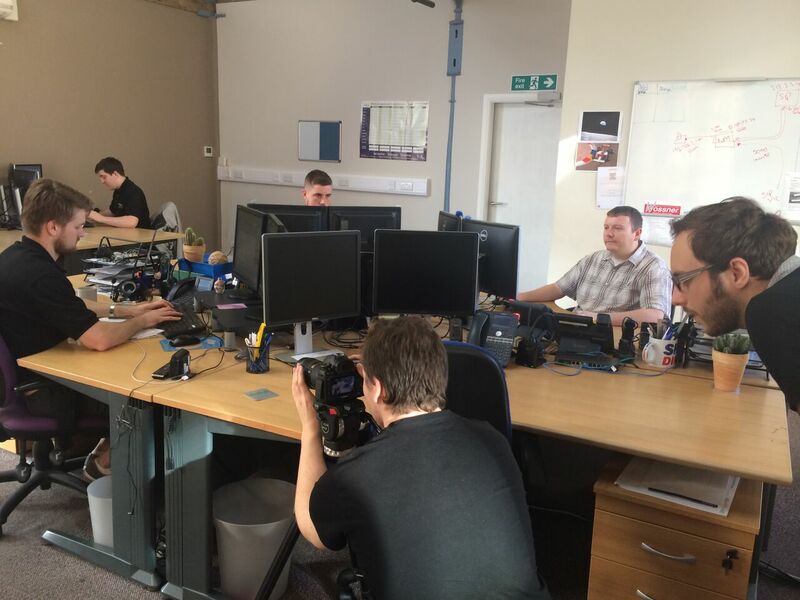 Filming took place here at our offices in Huddersfield by Flix Facilities, who are based in Manchester. Complete with an interview from our Managing Director, Darren Garland, the Flix team took shots around the whole building. Filming follows the recent announcement that we have been shortlisted for the SME of the year award, along with two other successful companies in the Huddersfield area. The video is due to be shown at the Awards Ceremony, taking place at the John Smith’s Stadium on 12th November – we look forward to seeing the end product! 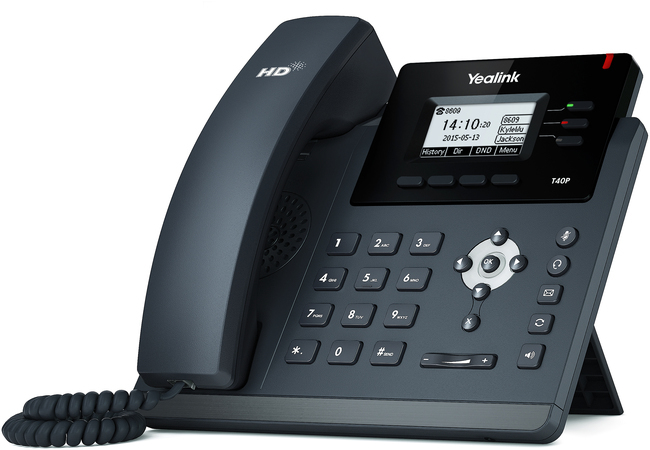 We are delighted to announce the arrival of the new Yealink T40PN IP phone. This excellent new product from Yealink joins the T4 series as an affordable yet feature-rich desktop phone. Delivering superb audio quality as well as a rich visual experience, the T40PN is ideal for business users. Pricing and stock information is available on ProSys, our reseller portal. If you would like to become a ProVu reseller, you can apply via our online reseller application form. The ProVu team are delighted to be shortlisted as ‘Best Convergence Distributor’ in the 2015 Comms National Awards. We are honoured to be shortlisted for such a prestigious award and are looking forward to an evening showcasing some of the great performers in the industry. The awards ceremony will take place on Thursday 22nd October at the Grand Connaught Rooms in London. 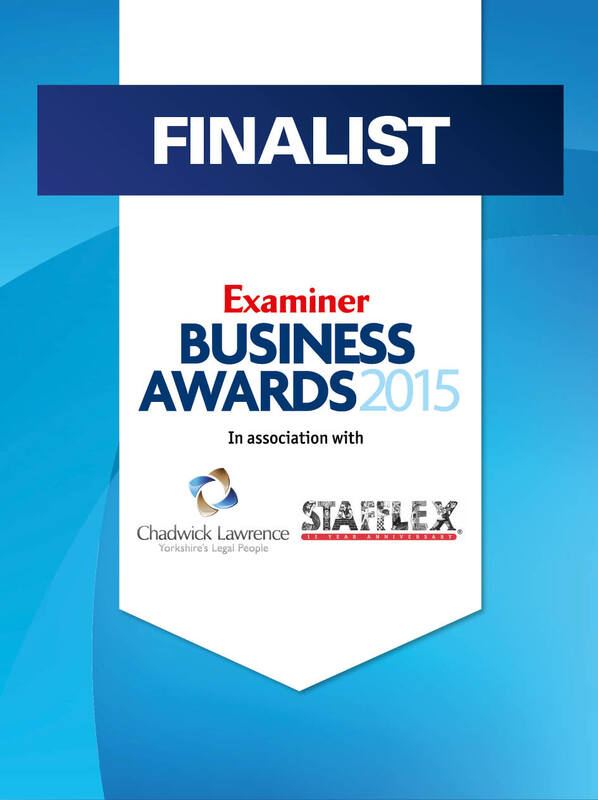 ProVu Nominated for SME of the Year in the Examiner Business Awards! We are thrilled to announce that ProVu have been shortlisted for the Walker Singleton SME of the year in the Huddersfield Examiner Business Awards 2015. It is a great honour to be recognised amongst some of the best businesses in our home town, we believe that Huddersfield is a great place for business and plays a key part to our success. The awards ceremony will be held at the John Smith’s Stadium on Thursday 12th November. ProVu wish all finalists the very best of luck! With a mixture of normal cordless handsets (TPA60) and cordless desktop phones(TPA65), the TGP600 is ideal for both staff on the move as well as desk placed staff. If you would like to speak to a member of the ProVu team please call: 01484 840048 or email: contact@provu.co.uk. We are teaming up with Panasonic to host a SIP Demonstration Workshop, taking place on Tuesday 3rd November, at Panasonic’s Solutions Centre, in Bracknell. All attendees will receive a complimentary KX-TGP600 DECT Base and Handset (RRP: £94.00 + VAT) and will have the chance to learn about Panasonic’s existing and upcoming SIP products. This event is free to attend, lunch and drinks will be provided. We look forward to welcoming as many of you as possible, please register below to attend this event. If you have any questions or would like to speak to a member of the ProVu team, you can call: 01484 840048 or email: contact@provu.co.uk.